Want to See Your Ad Here? Click here to get more info! Posted at MTV.com: The beauty of Indiana Jones is that we always imagine him as being on the verge of another great adventure. It's impossible to imagine Indy sitting back in his porch chair with a glass of lemonade, screaming at kids to get off his lawn. Now, Harrison Ford is eager to pick up the whip and fedora one more time and get "Indiana Jones 5" filmed while he's still a convincing action star. Indy Mola Ram Pre-Orders Begin this Friday! Newsletter subscribers who qualify will be given an opportunity to 'Priority Pre-Order the Exclusive Mola Ram Premium Format Figure, on Friday, January 8th, 2010, from 12:00PM to 2:00PM (Pacific Time). The Exclusive edition of this Preimum Format Figure will be priced at $294.99 USD. There will be a regular edition of this item priced at $289.99 offered AFTER the Exclusive edition sells through. Click here or the images below to check it out and make sure your account is ready for Friday! 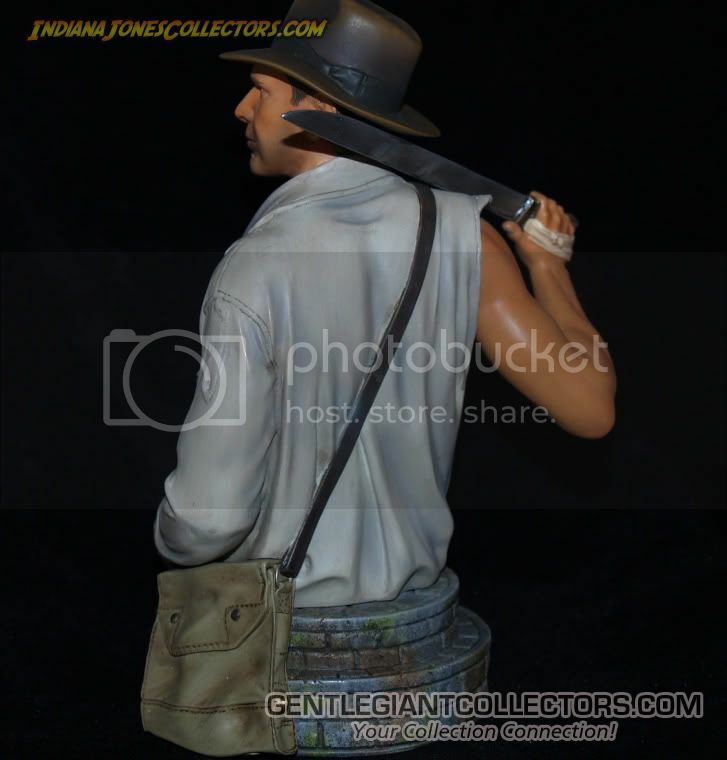 EE Exclusive Indiana Jones Short Round Mini Bust - UPDATE #3 - NOW IN STOCK! An Entertainment Earth exclusive! Everyone's favorite Shorty! Doom-tastic! Could this be the best Short Round collectible ever? Yes! 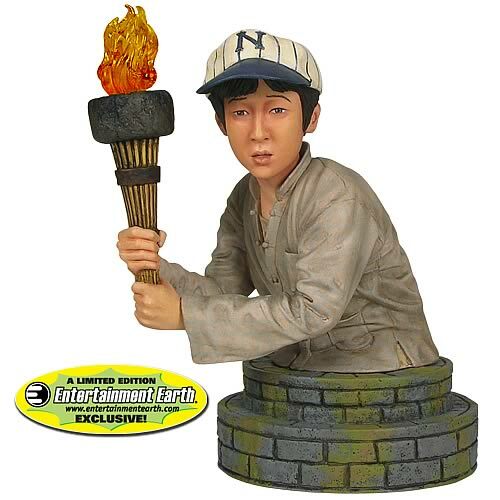 Based on Indiana Jones and the Temple of Doom, this 6-inch tall statue features an incredible likeness and a top-notch replica of the costume from everybody's favorite film about a secret evil cult from India. Indy's sidekick has never looked better, and comes complete with a nifty torch which is sure to snap you out of any boredom you may find yourself in at work or elsewhere! UPDATE 9/30/2009 - Gentle Giant has Confirmed via GentleGiantCollectors.com message boards that this item is a limited edition of only 350 pieces, not the 2,000 pieces that was posted when this was announced in Decmber. With such a low edition size this one is sure to spike on the secondary maeket so be sure to secure yours today right here! Click here or the image below to order before they sell out! 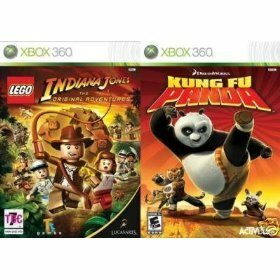 Lego Indiana Jones + Kung Fu Panda for $10.25 at Amazon.com! Sideshow Collectibles is proud to launch the Indiana Jones Diorama series with the Indiana Jones VS Mola Ram Diorama. This detailed sculpture captures a pivotal scene between Indy and one of his greatest foes. Each piece is individually painted and finished to exacting standards, each with its own unique quality and detail that is the trademark of a handcrafted Sideshow Collectibles product. This stunning piece will make an outstanding addition to any display, the perfect beginning to your Indiana Jones diorama collection! Click here or the image below for all the pics and info! 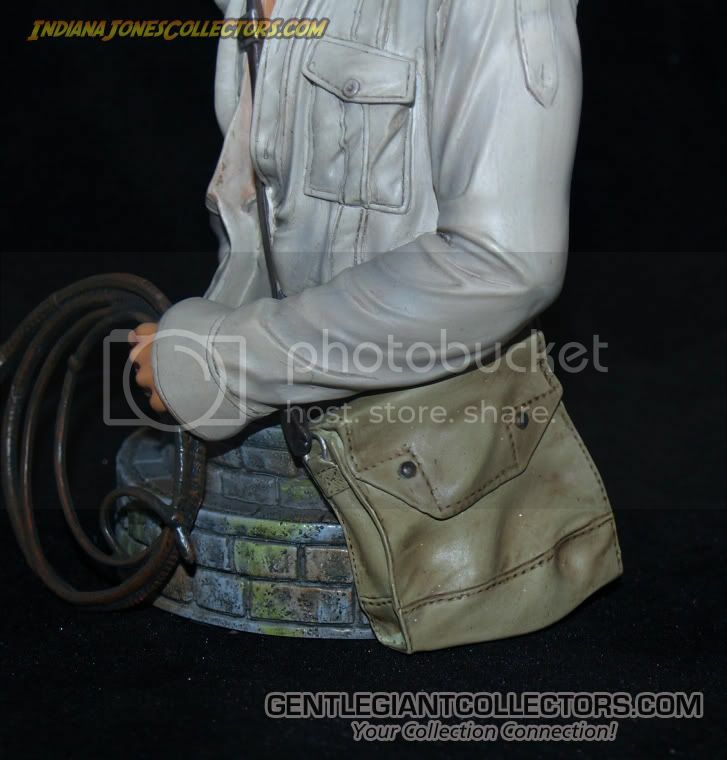 Indiana Jones On Horse Statue for only $49.99 - 75% OFF MSRP at Razor's Edge! Title sells it all, click below before they sell out! EE Exclusive Indiana Jones Short Round Mini Bust - UPDATE #2 - Only 350 to be Made! Dust off the fedora and clear out the snakes - Indiana Jones is ready to ride again. Harrison Ford, 67, says he's already ready for the globe-trotting archaeologist's next adventure, only a year after one of history's most successful film franchises was revived — and that the next chapter is already well on its way. Short Round & Sallah Mighty Muggs EE Exclusive ON SALE - 50% OFF! The pair of individually packaged action figures is marked down to an incredible $16.00! And Singles Just $8.50 each! Click Here! 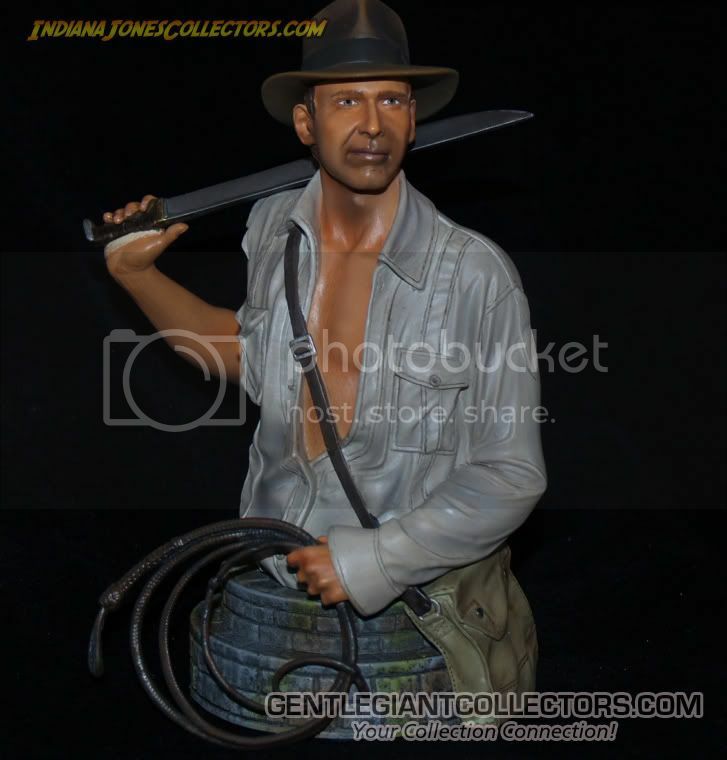 Indiana Jones Sideshow Exclusive Edition (Kingdom of the Crystal Skull) Pre-Order is Live! Check him out below and click here to order before he sells out! Hasbro Indy Line Not Dead? 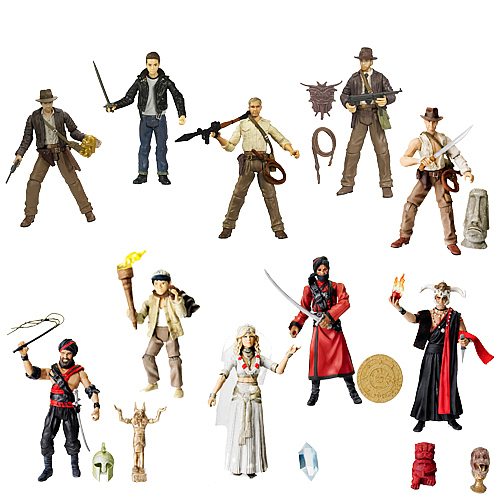 Indiana Jones Action Figures Wave 1 61% OFF! Click here before they sell out! Indy 5 Is A Go! Frank Marshall spills the beans at EmpireOnline.com! Work on the next Indiana Jones film is being geared up now that the story is in place, according to a certain Transformers star. In a recent interview with BBC journalist Lizo Mzimba, actor Shia LaBeouf revealed that work on the next Indiana Jones film has begun. LaBeouf played the part of Mutt Williams, Indy's son, in last year's Indiana Jones and the Kingdom of the Crystal Skull. When asked about the fifth film in the Indiana Jones franchise the Transformers actor said: "Steven [Spielberg] just said that he cracked the story on it, I think they're gearing that up"
Indiana Jones and the Kingdom of the Crystal Skull performed stoutly at the box office last year being beaten only by The Dark Knight in worldwide receipts. In a recent report it was announced that Harrison Ford, the actor who plays the titular adventurer, was the highest paid actor last year receiving £43.3M for one film alone, easily beating off Tom Hanks, Will Smith and Johnny Depp. At the moment, Spielberg has finished filming on Tintin: Secret of the Unicorn whilst he is in the midst of pre-production on Lincoln, a civil war drama looking at the sixteenth President of the United States. George Lucas is currently overseeing the production of Red Tails and the Star Wars live-action series. Meanwhile Harrison Ford is currently filming the comedy Morning Glory with nothing officially on his slate afterwards. This would leave 2012 as the most probable (not to mention earliest) date for the fifth outing for the archaeologist. Watch out Indy, a new 12" figure is up for preview at Sideshow Collectibles. Check out the preview for Henry Jones. Also check out the Premium Format Indiana Jones - Kingdom of the Crystal Skull here to see a newly posted photo. Gentle Giant Indy Bust Image Guide! 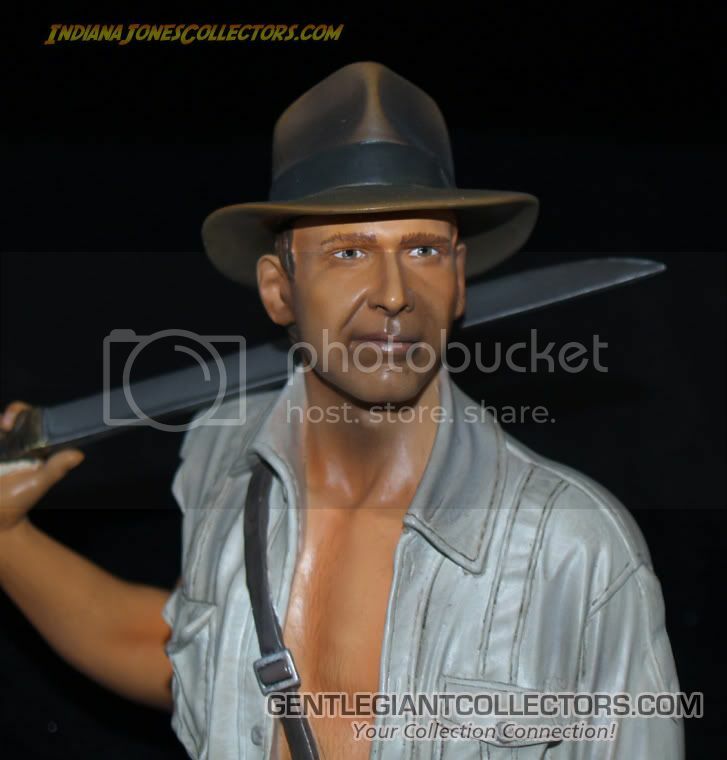 PastGenerationToys.com has tons of Indiana Jones on Clearance Pricing. Sideshow Indiana Jones Skull Premium Format Figure Up for Order - Get The Exclusive Version Before It Sells Out! Now is the time to catch Dr Jones. Place your order now for the Premium Format Indiana Jones Kindom of the Crystal Skull figure. The exclusive comes with Mask of Orellana Artifact and will be released 4th quarter of this year. Ready for another Indy? Wait no longer as Sideshow Collectibles gives this preview of their Indiana Jones Premium Format figure from The Kingdom of the Crystal Skull! CLICK HERE TO SEE A SNEAK PEEK VIDEO! Sideshow Indiana Jones in German Disguise 12-inch Figure! Hasbro Indiana Jones Crystal Skeleton with Throne 3.75 Inch Exclusive Figure NOW for Sale! Our sponsor, Razor's Edge Collectibles now has the once mail away exclusive Crystal Skeleton with Throne for sale for $19.99! Click here or the image below to check it out and let them know you saw the news at IJC! Indiana Jones Temple of Doom Figures BACK IN STOCK at Entertainment Earth! CLICK HERE OR BELOW TO ORDER BEFORE THEY ARE GONE AGAIN! 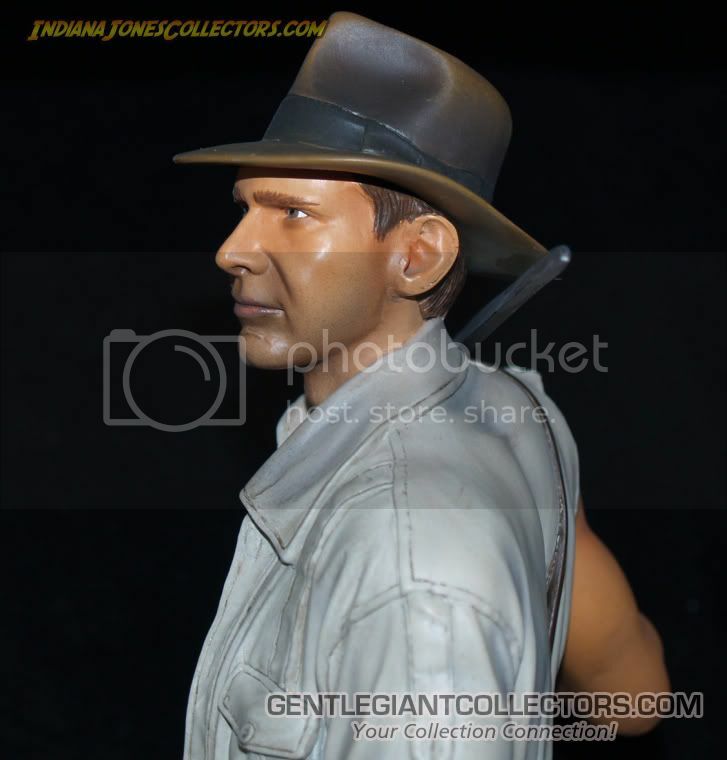 Gentle Giant Indiana Jones Temple of Doom Mini Bust First Look Images! New Hasbro Feb. 2009 Q&A Session! Check out our next round of questions below and if you have any burning Indy questions for the fine folks at Hasbro, be sure to post in our forums or e-mail us and let us know! IndianaJonesCollectors: While some rumored-but-cancelled Indiana Jones items can be confirmed (the German Motorcycle has peg holes where the rumored sidecar would have gone) was there any truth to the rumor that a 3 ¾” scaled Flying Wing vehicle was in development for the Indiana Jones line? Hasbro: Yes indeed, a 3-3/4" scaled flying wing *was* in development before the Indiana Jones program was crated up to await another film, should there be one. While the model was finished, it was never tooled. IndianaJonesCollectors: The recently released Temple of Doom Mola Ram is hands-down the best 4” scale action figure of the past several years – even including the Star Wars line. The figures from the Temple of Doom wave have an attention to detail and deep understanding of the films that is truly remarkable – for example, I recently discovered the Sankara stones hidden in TOD Indy’s satchel and the cut marks on the back of his shirt. For a die-hard fan of the type that quibbles over an incorrect lightsaber included with a Star Wars figure, discovering tiny details like this weeks after purchase is unique. My question is was the TOD wave designed/conceptualized by the same team and manufactured by the same factories as the earlier first two waves? They almost appear to have been done by a completely different set of people at every level, from conceptualization to choice of accessories to quality of paint apps. Or was this simply a case of learn as you go? Hasbro: We are glad that you saw the incredible attention to detail that we put into the wave, a testament to the deep fans of IJ that we are. All of the 3-3/4" IJ figures were created by the exact same design team and manufactured at the same factory. While the factory did make improvements after the first couple of batches, responding to our and Lucasfilm's high standards for quality, we think what you are seeing in the later waves reflects the result of a more normal design schedule. The first IJ figures were created on a *crazy* pace dictated by the need to develop the line on a very compressed schedule after we learned IJ IV was going to happen. Hopefully that kind of schedule will never happen again, and if we are lucky enough to tackle IJV. IndianaJonesCollectors: I picked up the recently released 12” Indiana Jones in German Uniform. It has a great likeness to Harrison Ford - even standing side-by-side with the Medicom Indy (which sells for seven times the price!) I was amazed to realize - using a magnifying glass - that it’s the same sculpt as the first release 12” Indy witb whip action, and shares some hair sculpt attributes with the talking Indy, yet it looks so totally different visually, even very close up it looks new. Is it simply an issue of superior, non-glossy plastic that holds detail better, or better paint apps, or something else? How is it the new doll can look so completely different - and superior - yet be from the same mold? Hasbro: It is actually the same head sculp. The Whip Crackin' Indy had a molded-on hat, so there was no hair or top of the head on that guy. So we took the same head sculpt and basically finished it from the forehead up, adding the hair and then tooled it. So it is a new tool, but not a new sculpt per se. We're glad you were happy with the likeness; we (and Lucasfilm) really liked the results of this one too. Of course, the deco is different from the first to reflect different beard stubble, scrapes and cuts, a little more tanned, and any other detail from that particular scene. You are right about the finish, too, we spec'd paint in a matte finish so it did not have a shinier plastic sheen. Thanks for the good word on this one! Gentle Giant Aussie Indy Bust Image Guide! LEGO Indy at New York Toy Fair! LEGO was kind enough to host a Collectors Event on the morning of the 15th, below is a short video of some of the great new items coming our way! Look for more info and stills when get get settled and a big thanks to LEGO for a great event!